The Forest Society offers education programs at the 712-acre "Hay Forest Reservation" in Newbury, NH. The literary legacy of award-winning Cape Cod naturalist, John Hay, son of Clarence and Alice Hay, lives on in Forest Society outreach programs and recreational trail improvements designed to connect the public to natural and cultural history of woodlots and former pastures of the Hay family's cherished summer home. Many programs are co-sponsored with The Fells historic estate and gardens. Visit The Fells website at www.thefells.org for a full calendar listing of upcoming Fells events. The unique cultural resources of the Hay Reservation include cellar holes of former farms, stonewalls and pastures that have reverted to forestland along more than 4 miles of excellent recreational hiking trails including the "Sunset Hill Trail" and "Old County Road." The trails provide excellent access to a rich outdoor classroom for natural history workshops connecting forest history to land use history. The Hay Reservation provides exceptional wildlife habitats, diverse forests on Sunset Hill and along Beech Brook with associated wetlands. Areas of active forest management – including timber harvesting and pre-commercial timber improvements provide an ideal setting for putreach education related to both forestry and wildlife ecology. The original 675 acre tract of the Hay Reservation was donated to the Forest Society in 1960 by Clarence L. Hay and his wife, Alice Appleton Hay. The Hay Forest Reservation was expanded in 1998 with the purchase of the 37-acre Kidder Tract on Chalk Pond Road. Parking and access to the recreational trails is located at either end of the Old County Road (gated), at the Kidder Tract on Chalk Pond Road and at The Fells main Gate House office parking area opposite the trailhead for the Sunset Hill Trail. The Hay Forest Reservation is the largest tract of a nearly 900-acre complex of protected land overlooking Lake Sunapee. The adjacent 81-acre US Fish and Wildlife Service John Hay National Wildlife Refuge and the 83-acre "The Fells" Hay family home with its landscaped grounds provide horticultural and cultural history education programs including house and garden tours. Directions: From Concord and points south and east: Take I-89 north to Exit 9 (Route 103) and go west to Newbury. Then take Route 103A north 2.2 miles. From Lebanon, Hanover and points north: Follow I-89 south to Exit 12 (Route 11), turn right at end of ramp and immediately left onto Route 103A south. Follow 103A for 5.6 miles. Co-sponsored by The Fells and Society for the Protection of NH Forests. John Hay had written in several of his books about childhood summers spent at The Fells, his parents Clarence and Alice Hay and the special places he fondly remembers exploring. This late afternoon program on the Veranda of the Main House will share readings from John Hay’s works—The Immortal Wilderness, A Beginner’s Faith in Things Unseen and In The Company of Light. Join Dave Anderson as he reads several passages from John Hay’s writings—each inspired by John Hay’s boyhood rambles at The Fells, Lake Sunapee and his own summertime explorations of the former farms which now comprise The Fells and the Forest Society’s Hay Forest Reservation. No hiking, this program takes place on the Veranda of The Main House. Co-sponsored by Society for the Protection of NH Forests and The Fells. Members $10, nonmembers $15 per program. Advance registration required, please register early. To register, or for more information contact 603-763-4789 x3. Get off the trail for a moderate hike with Dave Anderson to explore some of the less well known features of The Fells. We’ll find evidence of the Great Hurricane of 1938, which devastated much of New England. So many trees were blown down that mills were still processing the salvaged lumber in 1947. Here at The Fells, we can still see signs of the salvage corridor and the lakeside log landing. We will also search for a small, hidden spring of water. Like an oracle of sorts, John Hay once said, “this is where my father Clarence Hay had kept a tin cup ‘for the thirsty’ and whose waters C.L. Hay proclaimed to be ‘the finest in the State.’” We’ll visit the spring, clear away the fallen leaves and perhaps reinstall the tin cup. This is a moderate guided walk of about 1.50 miles along The Gatehouse Link and Beech Brook trails at The Fells, with off-trail explorations along the shore of Lake Sunapee, returning uphill from the Main House to the Gate House via the driveway. Includes off-trail exploration and easy walking along trails and woods roads. Co-sponsored by Society for the Protection of NH Forests and The Fells. Members $10, nonmembers $15 per program. Meet at the Gatehouse Kiosk. Advance registration required, please register early. To register, or for more information call 603-763-4789 x3. Naturalist, John Hay was fond of hiking in the forests of New Hampshire. His book, In the Company of Light, retraces a hike to reach the hidden headwaters of Beech Brook, the water supply for his boyhood home at The Fells. The spring is hidden deep in the woods and off-trail on the Forest Society’s 700+-acre Hay Forest Reservation located adjacent to The Fells. 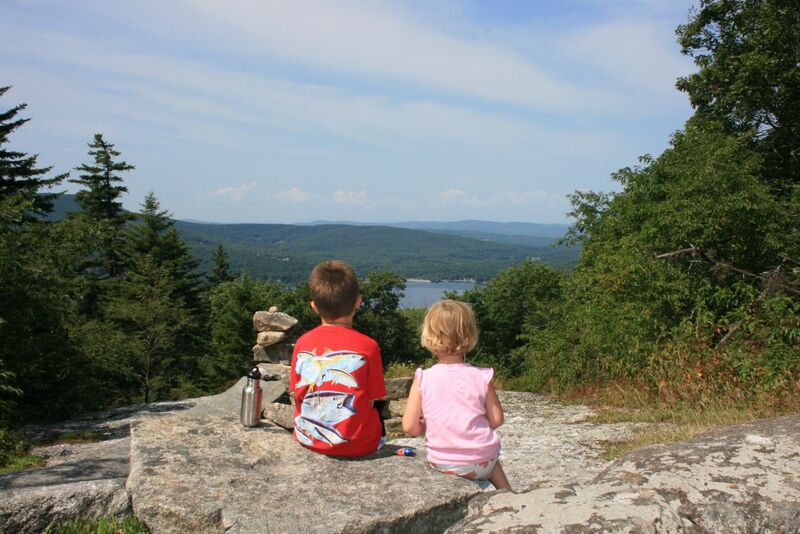 Join Forest Society Education Director, Dave Anderson, for a spectacular summer solstice evening hike to reach the source of Beech Brook, followed by a rugged bushwhack hike to reach the summit of Sunset Hill, ancestral Hay family summer picnic grounds. This is a challenging, 2+ miles, off-trail hike gains 550 feet to the 1800 foot summit of Sunset Hill. BYO water and snacks. Co-sponsored by Society for the Protection of NH Forests and The Fells. Members $10, nonmembers $15 per program. Meet at The Fells Gatehouse Kiosk. Advance registration required, please register early. To register, or for more information call 603-763-4789 x3.